New York City have been pretty impressive for large periods of the current campaign, but the latest poor run of results is threatening to derail their title bid. 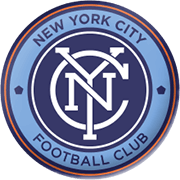 The Boys in Blue are winless in last three, having suffered defeats to Philadelphia Union and Columbus Crew, while sharing spoils with New York Red Bulls, which has seen leading duo get away from them. However, with players like David Villa, Maxi Moralez, Ismael Tajouri and Jesus Medina in the side, the team have got enough attacking potential to hurt improving DC United, although we do expect a close game. The Washington outfit have largely struggled this term, but they have shown some potential of late, winning four of their last six and they head into the New York City FC clash high on confidence. With the hosts eager to catch the leading duo, we should see an entertaining encounter at the Yankee Stadium. Over the years David Villa has established himself as one of the best attackers in the world. The Spanish superstar was producing excellent performances with Valencia from 2005 to 2010 and on May 19, 2010 Barcelona chiefs brought him to Camp Nou. “El Guaje” signed a four-year deal with Barca for a fee of €40 million and it is well known that he won a number of trophies with the Catalan giants. Villa clinched two La Liga titles with Barca (2011/2012, 2012/2013) and in 2011 he scored for Pep Guardiola’s team in a 3-1 victory over Manchester United in the Champions League final. 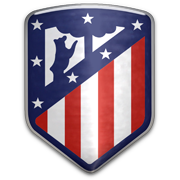 After spending one season at Atletico Madrid, the Spain international joined New York City in June, 2014 and he has been playing for Patrick Vieira’s team ever since. Nonetheless, it has to be noted that he made four league appearances for Melbourne City during his loan spell with the Australian club. Villa’s international career was successful as well as he won both FIFA World Cup (2010) and UEFA European Championship (2008) with La Furia Roja. 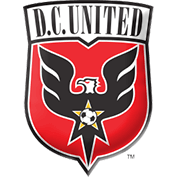 D.C. United have been participating in the Eastern Conference of the MLS since 1996. The capital club play their home games at RFK Stadium Washington and they are nicknamed the Black and Red. D.C. United won their fourth MLS Cup in 2004 and in 1998 the club clinched the Copa Interamericana trophy by beating Vasco da Gama of Brazil in the title game. The Black and Red won the Eastern Conference on five occasions (1996, 1997, 1998, 1999, 2004) and, as a result, they are regarded as one of the most successful clubs in the history of MLS. Andy Najar, Eddie Pope, Jaime Moreno, John Harkes, Ryan Nelsen, Christian Gomez, Nick Rimando, Richie Williams, Clyde Simms, Tony Sanneh, Marco Etcheverry and Santino Quaranta are some of the club’s most famous players. Speaking of D.C. United fans, the club has four big supporters groups: La Norte, La Barra Brava, the Screaming Eagles and La Norte and the club’s mascot is Talon, the bald eagle.